Hello! My name is Nicki and I am lushbrownies...chief recipe creator, baker, and pot washer! I have always had a passion for baking and fitted it in alongside family life (with 4 children) and my 'day job' as teacher of the deaf. Family and friends always encouraged me to go that step further and set up a business. 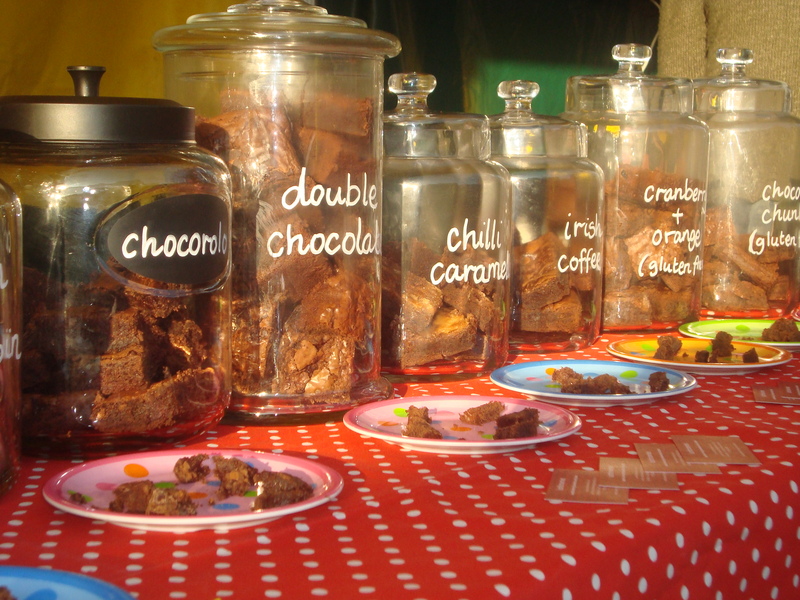 In 2008 I entered a bake-off as part of Manchester Food and Drink Festival at 'Cup Cafe' (now known as 'Teacup') in the Northern Quarter and my chocolate brownies won the ‘most delicious’ category. This gave me the push I needed to follow my dream and to set up my own home baking business 'lushbrownies' because in my opinion lush is the only way to describe all that lovely gooey, rich chocolateiness!!! lushbrownies began by taking orders for special occasions and gifts…brownies and brownie bites beautifully wrapped in cellophane and tied with grosgrain ribbon. These were also available to send as gifts via Royal Mail….complete with handwritten gift tag. 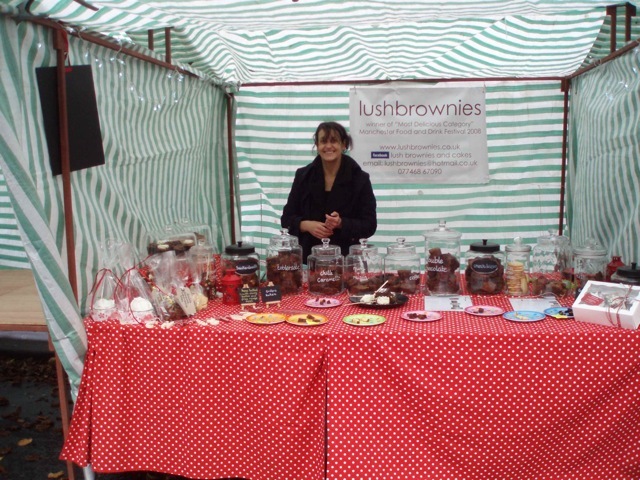 Then the lushbrownies market stall was launched, firstly with two markets a month and now every weekend at different locations in and around Manchester (see 'Where to Buy'). lushbrownies also supplies brownies to outlets in Chorlton and Altrincham. lushbrownies have created brownie pop wedding favours and even a 3 tier double chocolate wedding cake. lushbrownies are available in different flavours including double chocolate, snickerdoodle, crunchilicious, caramello, triple chocolate, banoffee, chilli caramello, toblerastic to name but a few, along with brownie pops, blondies and strawberry and lushbrownie chocolate kebabs. Gluten free options are always available. Check out our page on facebook ‘Lush brownies and cakes’ for regular updates and special offers. lushbrownies is registered with local EHO ( a legal requirement which includes Level 2 Award in Food Safety and registration of premises including kitchen inspection) and has been awarded a Food Hygeine Rating Level 5 by the Food Standards Agency.